A light quick and easy soup to blend up. Enjoy with some chia bread or a few flaxseed crackers. 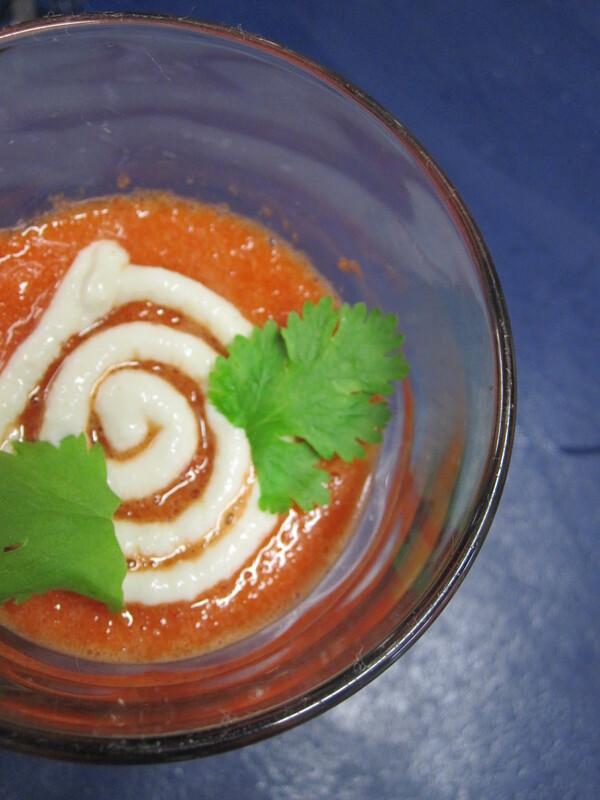 Garnish with coriander and some blender cashews, lemon and garlic to make a nice sour cream flavour infusion. Blend until smooth and serve. Garnish as desired and eat with crackers or bread. Great as an entrée as a whole soup may be a little bit too much to eat. Hmmmm…. A fresh healthy soup.